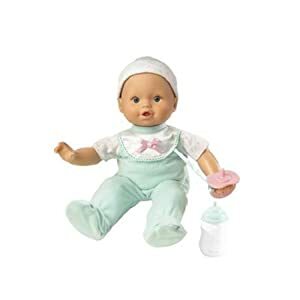 I was just asked on Twitter to recommend a non-pink baby doll. Most of the high street stores just seem have a sea of dolls in pink dresses, with pink furniture, pink prams and pink accessories to go with them. But I figured they couldn't be that hard to find on the web, so I went looking. 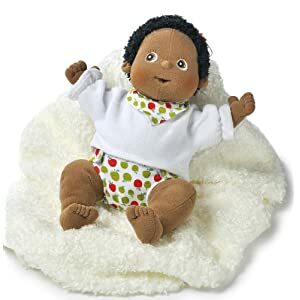 But what if you want a unisex doll that your toddler can assign a new gender to every few hours? What if... [pauses for gasps of shock and horror to subside] you actually do want to buy a girl doll, just not one that wears frilly pink? 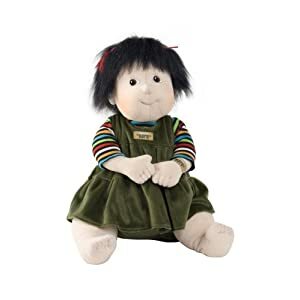 My favourite of the non-pink girl options is this Gotz Doll. The babygro does have a pink stripe, but it's not too offensive. 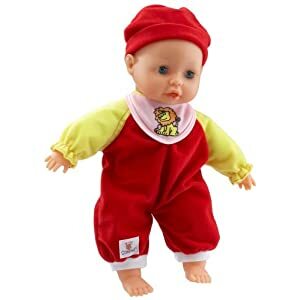 The dolls look cute, not scarily super-real, are made of organic materials and are suitable from birth. Gotz make dolls in a range of skin colours too. 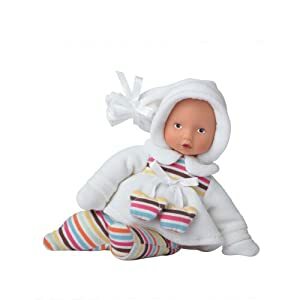 Rubens Barn also get an honourable mention for a fab range of dolls which wear refreshingly non-gender specific colours. 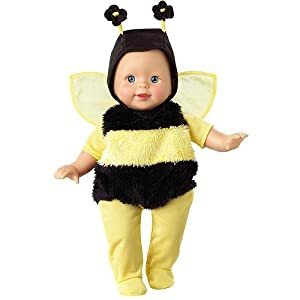 They even offer non-blue baby boy dolls! 2. Beauty Club Baby Doll & Accessories - again, the only pink is on removeable accessories. 3. 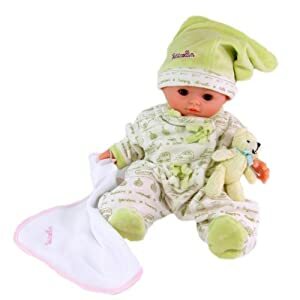 Vilac Petitcollin Baby Calin Doll - in unisex green (although worrying the doll comes "in 5 pieces"! Grr! Things that really annoy me! 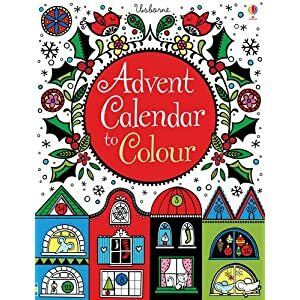 We have a lovely book of colouring, shape and number exercises which my Mum found in Lidl. Small one adores it, doing her "homework" sitting next to her brother and sister. That's right... it says, "Draw a line from each of the objects to the child which can best use them". The last one had a boy in swimming clothes and a girl in outdoor clothes. This time, the only clue is that well... the girl is a girl... and the boy is a boy... And to be fair, there is no reason except my own cultural stereotypes that suggests the one on the right is male! Things like this annoy me on two levels. 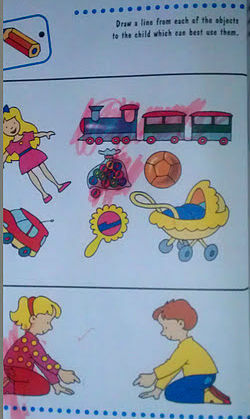 Firstly, that whoever wrote this book clearly thought that girls can "best use" prams, dolls and mirrors, and that boys can "best use" cars and trains... Secondly, that if you bring your child up to believe that there are no girls and boys toys, just toys that particular girls and boys like to play with, then there are no clues at all to help them decide. 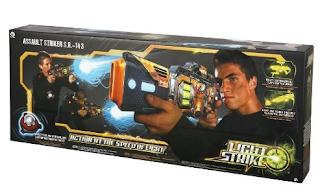 Last month I was contacted last month by a PR for WowWee toys asking for bloggers to review their new Light Strike Interactive Battle Game - a laser quest type game you can play at home. I jumped at the chance - the Curly one loves gaming, as do her Dad and her brother, and with the move to our new house imminent, it seemed like the perfect toy to get everyone off their computers and outside to enjoy the space in our new garden. The boxes arrived looking really exciting. Although the packaging is clearly aimed at teen/tween boys, none of us were put off by it, and it clearly appealed to all the kids, who couldn't get the boxes opened fast enough. As our brood ranges from age 2 to age 18, that's pretty impressive in itself. 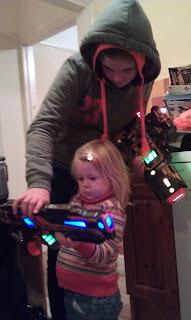 On opening, we were a little underwhelmed, as the stickers on the guns and attachments didn't live up to our expectations, making the toys look a bit cheap, despite good build quality. Happiness was restored when we discovered that every "button" on the stickers actually worked - with ID scanners, rapid fire, shields, team and weapons selects to investigate, who cared about the stickers? What can I say? It's brilliant! It's very versatile, allowing you to play individual challenges, fight battles one on one or play as teams for a full laser quest experience. We all had a go with the guns, playing against each other. Small one (2) loved the flashing lights and funny noises, and Curly (11), Lumpy (18) and the rest of the assembled family friends loved just about everything - the strategy, the targetting, the action, the general silliness, especially playing in the dark, where the game really comes into its own. The older boys even borrowed it for a quick late night game in the local park. They came back grinning inanely, and assure me that the range is "awesome" (at least 150m). 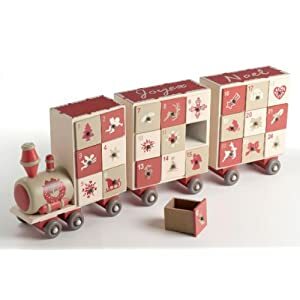 This is a toy that works for all ages and a game that the whole family can get involved in even if, like me and the small one, you don't entirely get all the functions and strategy. It's perfect for persuading diehard gamers into leaving the house and getting some fresh air and exercise! It is equally playable indoors and out, as long as you have plenty of places to shelter and regroup. While it does involve weapons, the emphasis is on strategy, stealth and targetting, so it doesn't feel inappropriate for younger children. There are no projectiles or small parts to fall off so it's soething that older kids can play without risk to younger members of the family. The guns are great in the dark and low light, with lights and sounds taking over from stickers to make them look really cool. Although there's a lot to learn if you want to play seriously, you don't need to learn it all at once (or at all) to enjoy playing. There did feel like there were a lot of batteries involved when we were getting set up. Having said that, the battery life seems to be good and we haven't had to replace any yet, so not as bad as we feared. The stickers - it's a minor point, and the game is clearly meant to be played in low light, but they really could be better. It's the only thing that lets a fab toy down. 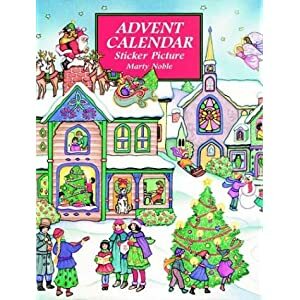 This would make a great individual gift for kids aged 8+, teens or adults who haven't grown up yet (us), but I would really recommend it as a family gift. 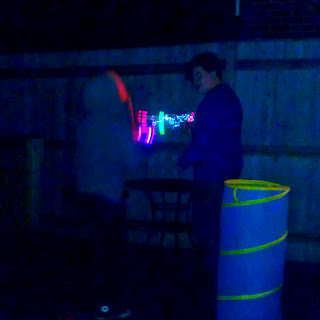 I can't tell you how much fun we have got out of these, and unlike console games, which get completed and discarded, Light Strike is going to be a favourite with our kids for years. If you do have tweens or teens, I have to caution you that you may temporarily end up with more in the house than you thought you owned. On the bright side, other peoples teenagers appear to happily wash up, clean and move boxes on request - result! Disclosure: I did not get paid for this post but I did receive a product sample to test and keep. I follow the Britmums Blogging with Integrity Guidelines – I always write honest and truthful reviews and disclose any perks I receive! If like me, you try to limit sweets and chocolate, this time of year is a bit of a challenge. 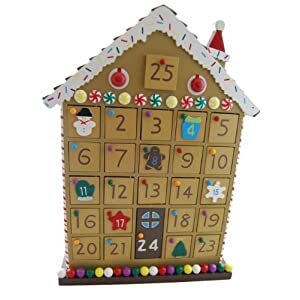 I've been on a bit of a hunt, and here are my favourite non-chocolate advent calendars for younger kids and those with allergies. For a young child, picture surprises are often just as exciting as sweets. Lidl and Aldi usually have traditional paper calendars at very sensible prices. Amazon also have a good selection under £2.50. 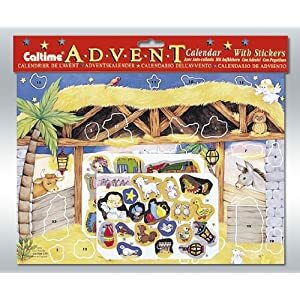 At the lower end of the scale, sticker or colouring calendars are a great alternative to chocolate. 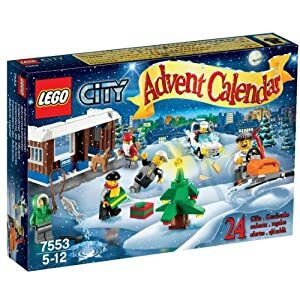 If you've got cash to spare, or want to spend on something with a bit more longevity, why not go for a calendar with toys inside? 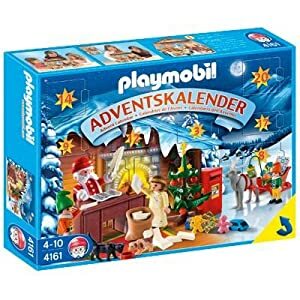 Playmobil and Lego have a great selection, but you can also find Ben 10, Bratz, Littlest Pet Shop and other designs at around the same price. Feeling crafty? There are lots of great ideas online or you can buy a kit to get you started. 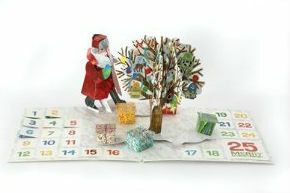 For something completely different... why not try these advent crackers from M&S? 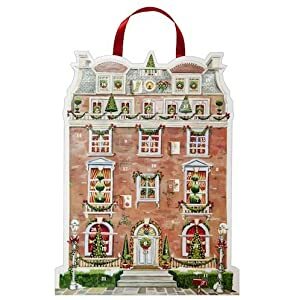 Pull a cracker every day and slot together the 3D character inside. By Christmas Eve, you will have a full nativity! Matalan have a great cheap selection, all now at half price. Next day delivery is just £3.95. 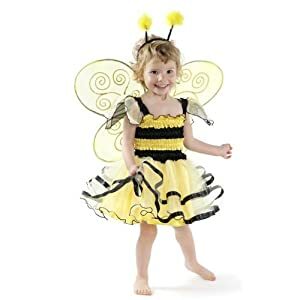 Amazon has a great year round selection and there's still plenty of time for delivery by Halloween. 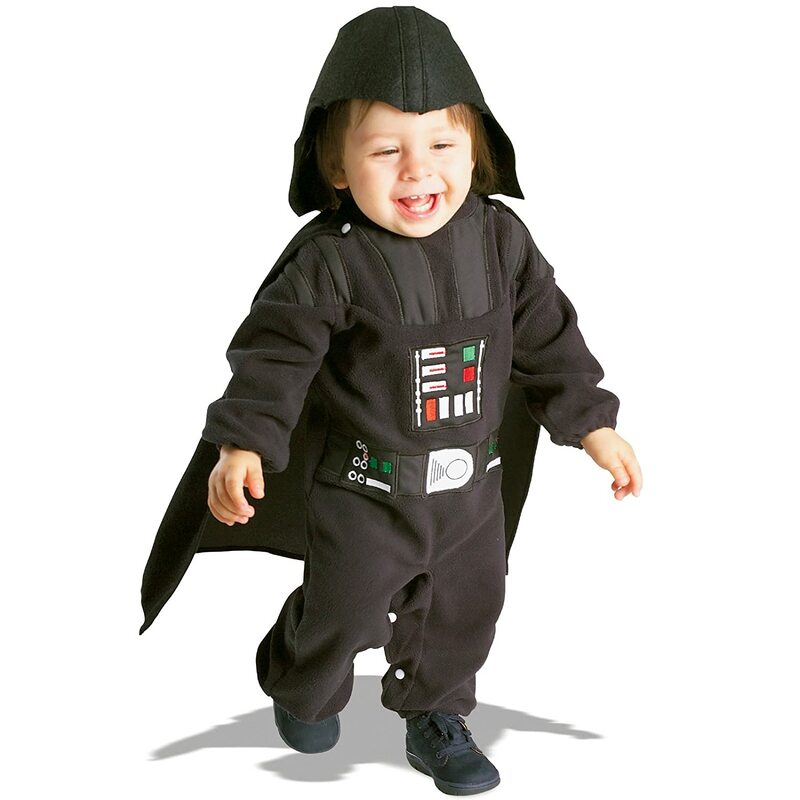 I love cape designs as they'll fit different sizes and last a few more years! The monster on the right only needs a green wart for a perfect Gruffalo costume! Reversible ones give double the value too. 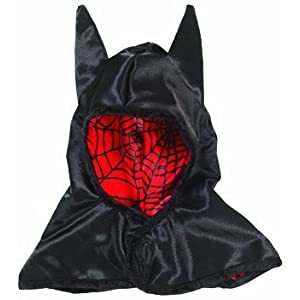 At £9.99, this Spiderman / Batman version would be great for any mini superhero. 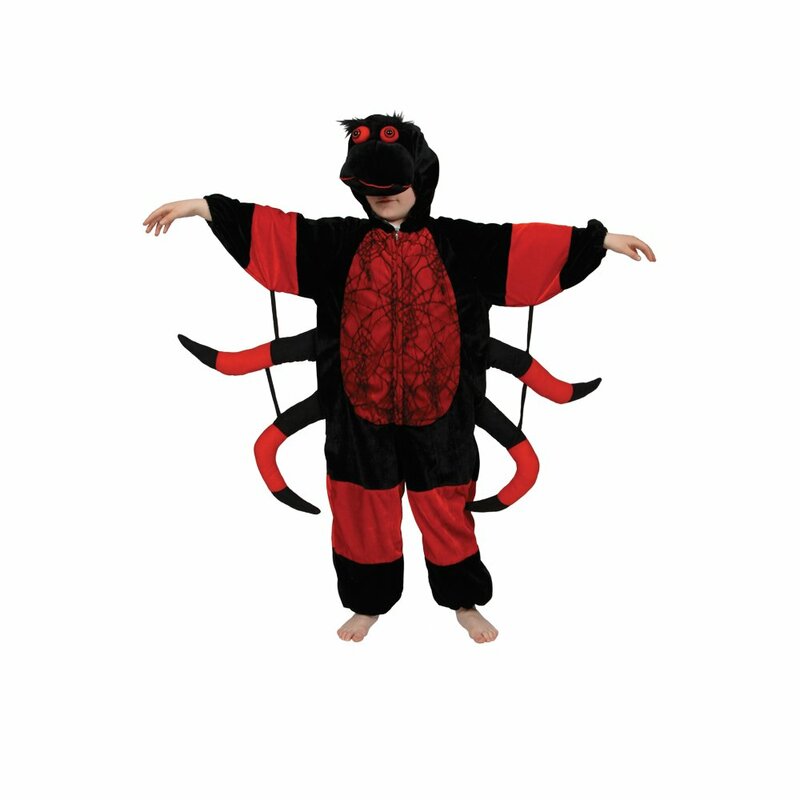 Also now at half price (the joys of last-minute shopping...), Asda do Halloween well. Next day delivery is still an option, and delivery to store is free. And at the other end of the scale... sadly a little out of my price range... 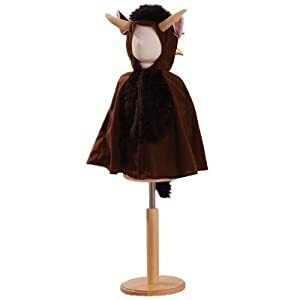 I couldn't leave out the cute range of Kigu costumes at Selfridges. 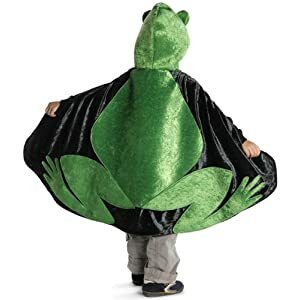 I'm giving myself until 3pm tomorrow to get a costume started. If I haven't sorted it by then, I'll be ordering one of these on t'internet! 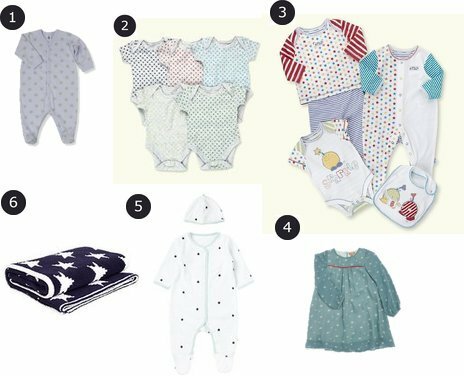 Trendy star prints for baby girls in every colour but not pink! 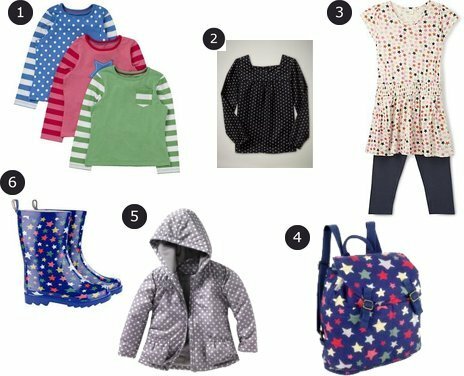 Trendy star prints for toddler girls in every colour but not pink! 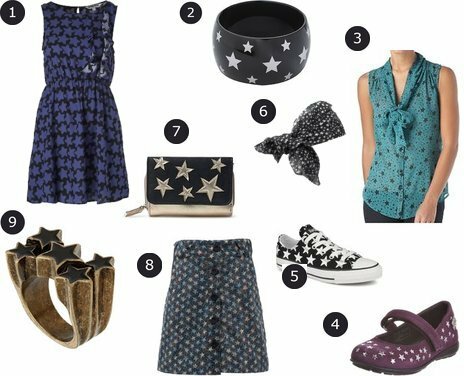 Trendy star prints for tween and teen girls in every colour but not pink. (C) Pretty But Not Pink 2012. All rights reserved.. Picture Window theme. Theme images by enjoynz. Powered by Blogger.